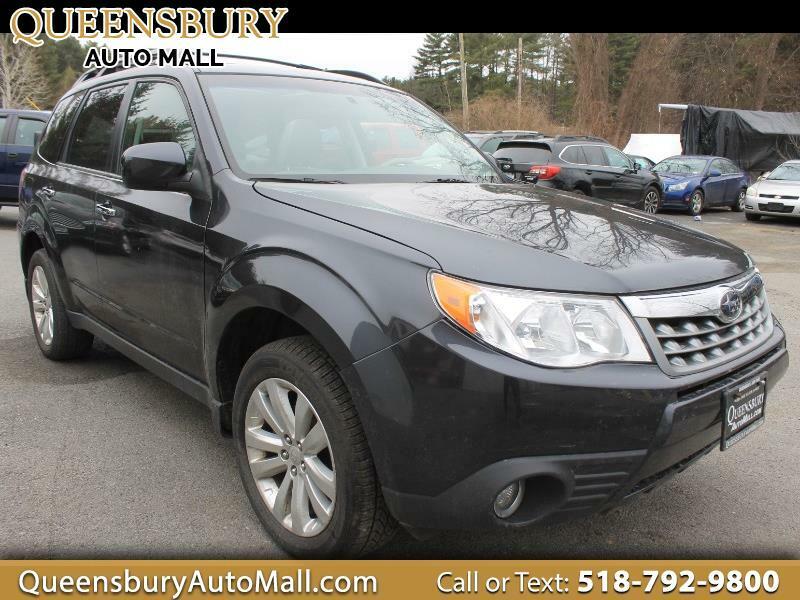 ***WE GOT A TUNGSTEN BLUE 2012 SUBARU FORESTER LIMITED ALL WHEEL DRIVE TAX TIME SPECIAL AT QUEENSBURY AUTO MALL - COME TO 635 GLEN STREET IN QUEENSBURY, NY 12804 TO GET ONE OF THE MARKETS SAFEST VEHICLES AND MOST RELIABLE SUV'S THE MARKET CAN OFFER - TRADE YOUR OLD RIDE INTO THE AUTO MALL AND SAVE MORE $$$, DON'T MISS THIS PRICE RANGE SUBARU AND LET THE AUTO MALL FAMILY UPGRADE YOU TODAY*** 2.5L H4 SOHC 16V MOTOR! ALL WHEEL DRIVE! TILT POWER PANORAMIC MOON ROOF WITH SUN SHADE! HEATED LEATHER INTERIOR SEATING! FRONT POWER SEATS WITH DRIVER LUMBAR SUPPORT! LUGGAGE RACK! TOW PACKAGE WITH TRAILER HITCH RECEIVER AND OVER DRIVE HAUL MODE! REAR VISION BACKUP CAMERA! FULL POWER EQUIPMENT! HANDS FREE BLUETOOTH PHONE CONNECTION WITH HANDS FREE CALLING SYSTEM! FULL POWER EQUIPMENT! FULL CABIN SAFETY AIRBAG CURTAINS AND SIDE AIRBAG CURTAINS! KEYLESS REMOTE ENTRY SYSTEM! LUGGAGE RACK! REAR WINDOW DEFROSTER AND REAR WINDOW WIPERS! ELECTRONIC TRACTION CONTROL SYSTEM! SPLIT FOLD REAR SEATS! TINTED PRIVACY WINDOWS! ALLOY WHEELS ON FRESH TIRES!